For a country just under the size of the US state of West Virginia, Costa Rica sports surprising diversity. With white sand beaches, mountains, low lands, rainforests, and volcanic land, there’s a place for everyone. Costa Rica is well-known for luxury resorts, adventure tours, incredible food, and cultural festivals. 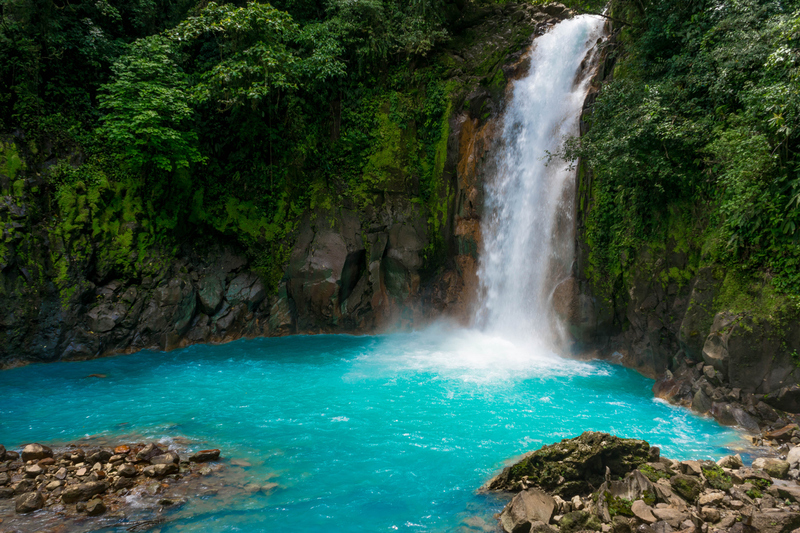 Regardless of how many times you have visited Costa Rica, it will continue to surprise you. This is why so many travel enthusiasts find themselves returning time and time again to this small, tropical country. Those who have visited Costa Rica multiple times and those who now permanently reside in this heavenly country may feel they’ve seen it all. The truth is, however, that Costa Rica has much more than what makes the travel guides. 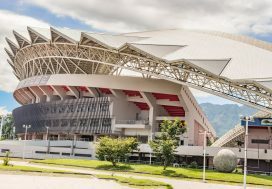 Costa Rica is the home of some of the strangest buildings, organizations, and activities you can imagine. You’ve seen Costa Rica’s beauty and culture; for your next excursion, concentrate on the weird. 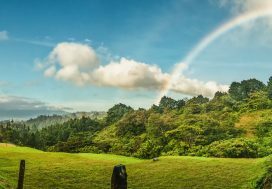 Regardless of how experienced you are at Costa Rican travel, we guarantee you haven’t hit these 7 quirky Costa Rican destinations. Take the road less traveled and add a strange detour to your trip itinerary. This quirky underbelly of your favorite tropical destination will make you fall further and further in love with your Costa Rican life. You might think that the worst vacation imaginable would include an airplane crash, but Costa Rican adventurers are seeking out this crash site for entertainment. At first glance, the 727 Fuselage home looks like the death of a Boeing Airplane, lost in the rainforest canopy. If you choose to look further rather than calling for help, you might notice the open-aired balcony protruding from the airplane’s wing and the stone staircase leading to the emergency exit. Climb up the staircase and you’ll find a hardwood floored luxury hotel suite, complete with chandeliers and hand-crafted wooden furniture. You didn’t expect to spend your entire trip in an airplane, but this hotel suite overlooks the rainforest canopy, nearby beaches, and the open ocean, so you may want to change your plans. A booking at this strange hotel will give you rainforest isolation and the chance to live out your “Cast Away” fantasy in quirky, luxurious style. The Land of the Strays, locally known as the Territorio de Zaguates, is a privately-funded dog shelter occupying several acres of the mountains above Heredia. This open-range shelter houses over 900 dogs, all of which are treated for any health problems, vaccinated, and let to roam the mountains. The shelter is entirely volunteer-run and has recently gone viral via videos on several social media sites. This organization calls for visitors and volunteers, and if you stop by the farm for a day, you’ll be put to work playing with puppies, roaming the mountains with your pack of loyal followers, and even sledding down grassy hills, always chased by a crowd. If you’re an especially generous soul, you may even leave with a new adoptee of your own. If you find yourself in the city of Zarcero, you may want to make a stop at this Dr. Seuss style outdoor park. In the 1960’s, the renowned artist Evangelisto Blanco found himself in charge of a park opposite a large, ornate church. 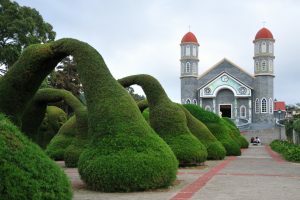 Not to be outdone by the neighboring steeple, Blanco began hedging the park’s trees and bushes into wild and abstract shapes. Your path will take you under arches made entirely of trimmed bushes to find the park. This park will feature jolly human figures, animals, dinosaurs, and abstract, living sculptures. To this day, Blanco continues to maintain his oddly shaped garden. This is a great afternoon activity for the whole family. This destination is slightly more than quirky, and should only be attempted by brave souls. The Durán Sanatorium, located just north of Cartago, was founded in 1918 and served mainly to treat tuberculosis patients. After the tuberculosis epidemic resided, the hospital was abandoned. Since then, the abnormal amount of activity within the seemingly empty hospital has earned its title as the most haunted building in Costa Rica. The reports of paranormal activity started before the hospital’s closing. Patients claimed a monk came in the night to cure patients, yet no such monk was on staff or seen during the day time. Once abandoned, the reports became more frequent and more serious. The chipped paint, patient-drawn graffiti, and creaky floorboards have made this a tourist attraction and entries can be scheduled. This is not a popular destination, however, as visitors report strange figures in their photographs and an eerie, unsettling ambiance. 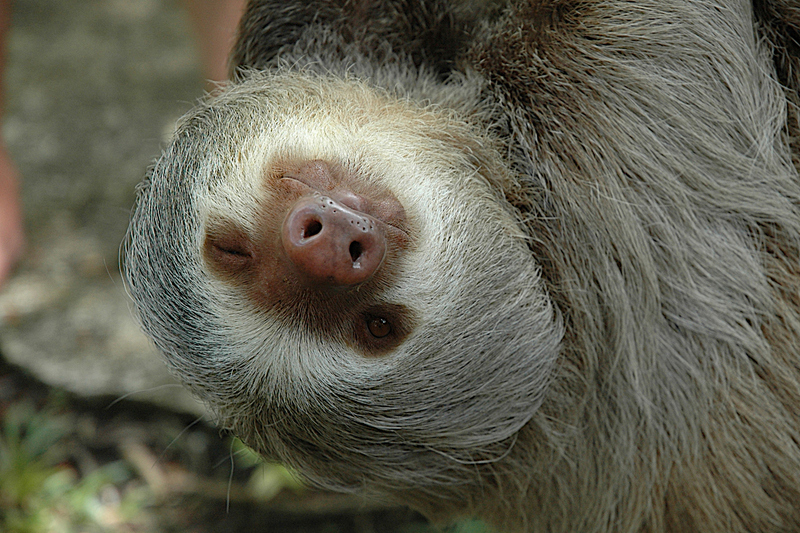 Costa Rica is known for its population of adorable, lethargic sloths. As cute as these smiley animals may be, they don’t seem to be adapting well to the power lines or traffic encroaching on their jungle habitat. Noticing an increase of injured sloths as Costa Rica develops, a group of dedicated animal lovers created a sloth rescue and sanctuary. They rehabilitate injured sloths, provide natural habitats, and study the peculiar animals, contributing to science and social interest of sloth welfare. You’re invited to take a tour, see sloths both inside the sanctuary and in their natural habitats, and pet a couple of these snuggly buddies. The Island of Coco is an extremely protected area as it hosts one of the most impressive families of marine biodiversity seen on this earth. But where there are rules, there are also rule-breakers. Shark poachers became a problem over 10 years ago, so the Costa Rican park rangers took action. The poachers were dispelled from the island and their equipment confiscated. Costa Rica is a rather environmentally conscious society, and the rangers felt uncomfortable throwing away all the confiscated equipment. Instead, they build a quirky little bridge on the island constructed entirely of abandoned nets, buoys, and fishing lines. This bridge is an impressive artistic feat yet also serves as a monument to the rangers and their work to ensure the safety of local marine life. Understandably, you might doubt the authenticity of a photo of the Rio Celeste, or Blue River. Located under the Tenorio Volcano, the volcanic minerals mix with rare bacteria in this river and create a neon glow. Photographers are constantly being criticized for editing their photos of this river as the color is absolutely astonishing. A trip to Rio Celeste offers the most unique, incredible photo opportunity, hot springs, and an impressive waterfall, all, of course, a glowing blue.